Traxpay transforms the way that businesses pay and get paid with the world’s first and only B2B Dynamic Payments platform. Our patent pending platform uniquely combines secure, flexible, real-time 24/7/365 electronic payments with any and all structured and unstructured data related to the transaction. What further sets Traxpay apart from all others is its business event-driven workflow engine that integrates directly into corporate business systems (ERP, P2P, O2C, etc.) – using dynamic data and changing business conditions to automatically adapt to changes in the who, what, when, where, why, and how of a payment, while keeping all the data, changing business conditions, and the transaction synchronized. Traxpay customers include B2B network software providers, digital marketplaces, and corporations who value the security, speed, flexibility, predictability, and savings the platform, and its many features, provide. Traxpay solutions were built to address the needs of modern B2B commerce and accelerate business across the supply chain. The company is privately with operations in Frankfurt, Germany and Mountain View, California. Traxpay sells a cloud-based platform that uniquely enables B2B Dynamic Payments. All other payments providers – such as banks, credit card companies, payments processors – only offer static payments. Static payments were not built for B2B transactions, and are retarding the business flow. In a commercial transaction today, it is impossible that business terms, conditions, and relationships remain fixed throughout the transaction lifecycle, that counterparties use identical workflows, that all remittance types and data requirements are consistent, and that the same bank will handle funds for buyers and suppliers. If this were the case, traditional static payments could be sufficient. Static payments assume that no variables will change in a transaction – ever. The stark reality is that all of these elements differ wildly between trading partners. And, in the course of a net 30 or net 60 invoice period, multiple new business conditions may dictate that a payment be split, combined, rerouted, canceled, executed on condition, put into escrow, milestone-based, paid on delivery, scheduled for a different date, supplier discounted, paid early, partially refunded, factored, foreign, or in some other way dynamically altered. This applies to 25-30% of all $300 trillion annual B2B transactions. The who, what, when, where, why, or how of the transaction changes, and it wreaks havoc on handling remittance and reconciliation. Since static payments operate completely detached from the rest of the transaction flow, they are unable to adapt to dynamic business conditions, or keep the associated data and systems up- to-date and in sync. Today’s B2B transactions are not only dynamic, but faster and more complex than ever, and require a payments platform to match. (1) A native core banking and account management system– allowing for fund transfers and final settlement in real-time, 24/7/365. (2) A data aggregation and channeling facility capable of handling data payloads of any type, size or format. (3) A configurable workflow engine that connects seamlessly to business processes and data streams across the supply chain to monitor and dynamically react to changes in the business. We recognized that B2B payment solutions haven’t changed in the last 50 years, and demand and opportunity for B2B payments to match modern business requirements is enormous. Corporates have been implementing technology at a voracious rate to optimize financial process and related supply chain interactions. The payments portion of these processes were ripe for disruption. After building the initial platform prototype and validating product market fit with key partners and customers, we knew that in order to scale our business to meet the demand, we would require capital investment. After the initial stages, we financed Traxpay the old-fashioned way, venture capital. FinTech is complex as a segment. Whether it is technology, market dynamics, regulatory issues, or all of them at once, there are many moving parts to manage, many rules to be aware of, and it is impossible to operate with perfect information. There is always a wolf at the door. On the other hand – the first rule of entrepreneurship is that there are no rules. Fortune favors the bold. There is a fine line between fear and courage – and finding a healthy balance between them while making progress is the challenge. In 2014, approximately $300 trillion in B2B payments is expected to occur between buyers and suppliers on a worldwide basis. Today, the vast majority of these transactions are handled by traditional banks and other static payments providers. The opportunity to participate and disrupt B2B payments with Dynamic Payments, and work with the other innovators in the financial supply chain to create faster, safer, smarter B2B transactions is compelling. We are breaking new ground. Being at the forefront of such a seminal shift in the market and helping to transform how business pay and get paid is what we are passionate about. DACH as a region and the Eurozone as a whole is quite advanced when it comes to payments and financial technology – both in B2C and B2B domains. As leaders in global trade, and as businesses in DACH continue to expand globally, it is clear that financial technology and innovation is a categorical imperative for helping to open up new markets and gain new customers. The opportunity for non–bank FinTech providers in DACH to listen to and react to market demands far outstrips that of larger, more traditional players. And in the case of international and cross-border transactions, DACH FinTech startups are in an ideal position to have a first-mover advantage. Embrace your weirdness. Remember that you are doing something completely innovative and different, and there are forces that will make you want to give up. Don’t. Have courage, don’t punk out, and never quit. The world needs you. Mr. Bruggeman’s extensive experience with enterprise software companies complements the banking and payment expertise of Traxpay’s executive team. Most recently John was chief marketing officer at Cadence, where he was responsible for corporate, product, and strategic marketing activities. Before joining Cadence, he was chief marketing officer at Wind River, where he oversaw product planning and management, corporate marketing, and field marketing. 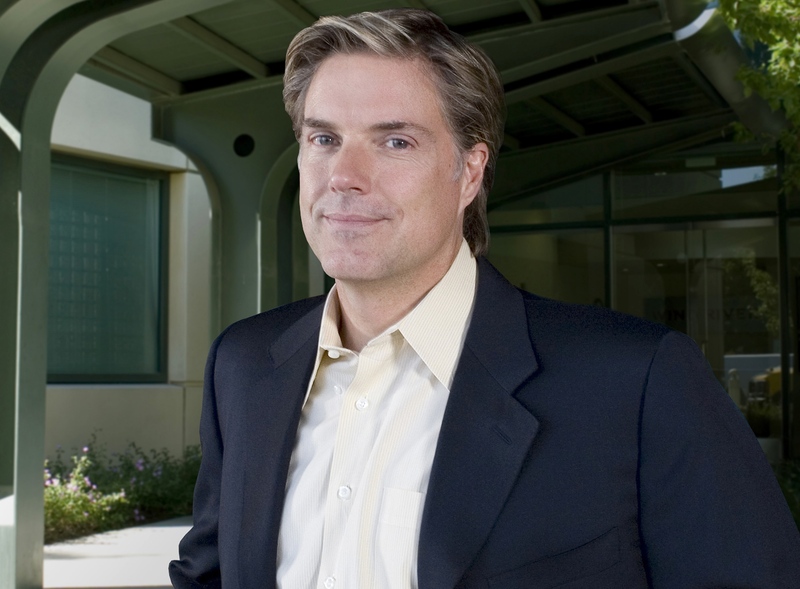 Prior to joining Wind River, John was vice president of marketing at Mercury Interactive; before that he was vice president of strategic planning at Netscape. John has also held a variety of marketing positions at Alventive, America Online, Lucent, and Octel Communications. He holds a Bachelor of Science degree in statistics and computer science from San Jose State University and a Master of Science degree in mathematics from the University of Connecticut.